Top: Workshop organizers. Bottom: Workshop participants and faculty. Patients with advanced breast cancer do not get as much attention as those with early breast cancer, although both groups of patients deserve more and more attention. October, known as the official month for awareness on breast cancer, is also time to talk about metastatic breast cancer on October 13, known as MBC Day. 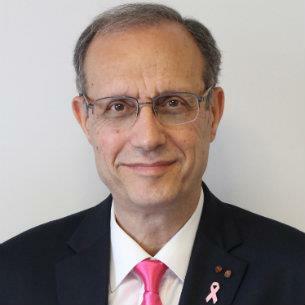 For the second year in a row, as never before in Lebanon, the Middle East, and many parts of the world, LBCF and AUBMC organized a workshop to guide and support participating women with advanced breast cancer. We included sessions on nutrition, sexology, psychology, oncology, meditation, beauty, and a photo shoot that will serve as a social awareness instrument on breast cancer. We meant to outline the importance of not only screening and early diagnosis, but also pay more attention and care to women who have advanced breast cancer as well. Empowering patients and women with education and courage in order to ensure better living while getting the most advanced and best cancer treatment helps them go through their treatment journey with full dignity and support. We provided information on the different symptoms, solutions, and ways of coping with the disease. The support of the patient’s family, as well as friends, volunteers, staff, nurses, and doctors is key to hope, perseverance, and standing up against cancer. This workshop, sponsored by an unrestricted grant from Novartis, helped us spread awareness on the different means that allow patients to have more courage and keep on fighting to cope with breast cancer and survive. Survivors, volunteers, patients, and their immediate families present at the workshop expressed great satisfaction, gratitude, and happiness for the education, care, and especially for getting together and talking openly about their disease and treatment journey. Such meetings have great impact on the quality of lives of patients. The oncology community, physicians and nurses, and sponsors, together with NGOs, breast cancer associations, and patient organizations would do great service to patients and their families by organizing workshops and retreats to talk about various aspects of life with a cancer diagnosis.